Cut peeled potato into 1-inch chunks and boil for 10 minutes until done. Mash or put through ricer and place in a large bowl. Do not add butter or milk. Drain sardines, pat dry, and mash them into potatoes with a fork. Add onion, parsley, salt & pepper. Shape into four 3-inch patties. Gently press tops and bottoms into crumbs. Heat oil in a pan over med-high heat. Sauté for about 5 minutes, turning once. 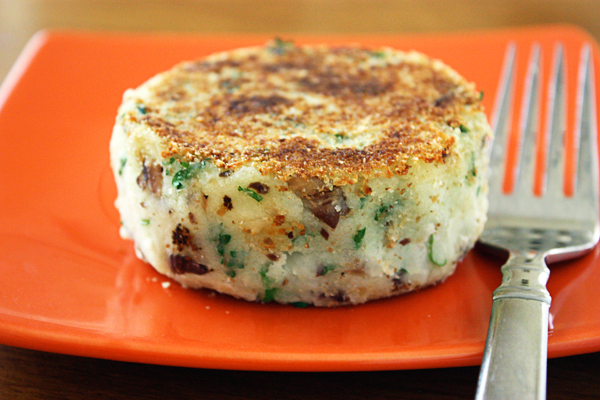 24 Comments on "Sardine Cakes"
I made this today using: sardines in olive oil,1 tsp Dijon mustard, 1/2 tsp garlic salt, 1/3 cup celery (minced). I was unable to keep the first one together so I added an egg yolk to the remainder …& these (3) held together perfectly. They were absolutely delicious and are now one of my wife’s favorites. Hi, I was just wondering what I could use as a substitute for bread crumbs? Would flour work? Flour does not have enough substance and would not provide the browning needed. I have used flour for years. It holds ingredients together and Browns beautifully! Jenny, I made these last night. OMG – they were great and so easy to make. Thanks for sharing. Can these be frozen before cooking and then fried later? Can these be frozen before cooking and then reheated later? Jenny, I absolutely love your recipes. I am really impressed with the Polish recipes. After my visit to Poland, where I found the food to be so flavourful and delicious, it was great to try your recipes and find them to be of such high calibre. I made these for my supper today. Yum yum – brilliant recipe! I have never cooked with kippers so I’m sorry I don’t know, so you may just have to try. Dear Jenny: I wanted to make the sardine cakes, but I don’t know what size can of sardines you used. I have 3.75 oz size cans. Thanks and love, love, love your recipes. I have tried a lot of the recipes. Most of all the Stew recipe and the polish donuts. Keep up the great work! Sincerely Barbara C.
My can is Reese brand and it’s 4.375 ounces. You could still use the same recipe or reduce the other ingredients a bit – it’s pretty flexible. I’m glad you asked so I can add the size to the recipe. I just found your recepie for sardine cake turned out wonderful melt in your mouth. I added some green and red pepper for coloring a pinch of cinnamon and oh yes I had a can of sausage dumped it in couldn’t taste the difference. (lol) I’ll make them now for Sunday breakfast. 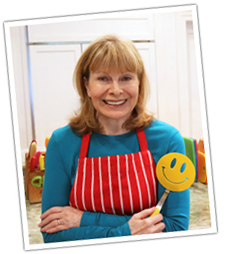 i really am enjoying reading your recipes and i especially like your helpful videos. you have given me some good ideas, like making sardine cakes. usually i open a can, eat three myself and serve the remaining two to my cat. i will soon make your crispy cookies, no knead bread and the ziti lasagne. i have already started making wheat tortillas using a cast iron press, but your video gave me some other ideas to try. Thank you, Jenny! I have consumed Bristling Cold Water Atlantic Sardine’s in Olive Oil straight from the can more times than I can remember…consequently, your most welcome recipe for Sardine Cakes is a delightful rare find for me! Hoping for some outstanding Tofu recipes….having said that I would like your opinion if I should go to the expense of purchasing one of the $30 tofu presses, or if you think otherwise. I’m sorry but I have never cooked with tofu so I can’t comment about the tofu press, but how’s this for timing? I just had sardine cakes for dinner tonight. They definitely trump the can! Me too! More yummy recipes with sardines! Thank you. They look so delicious, wishing for a video.